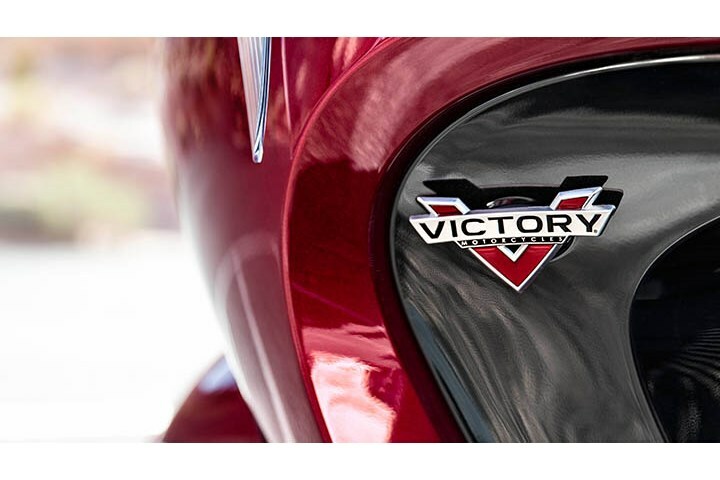 The Victory® Freedom® 106/6 V-Twin is a 106-ci powerplant that provides Victory Vision Tour riders with 108 ft-lb of torque. 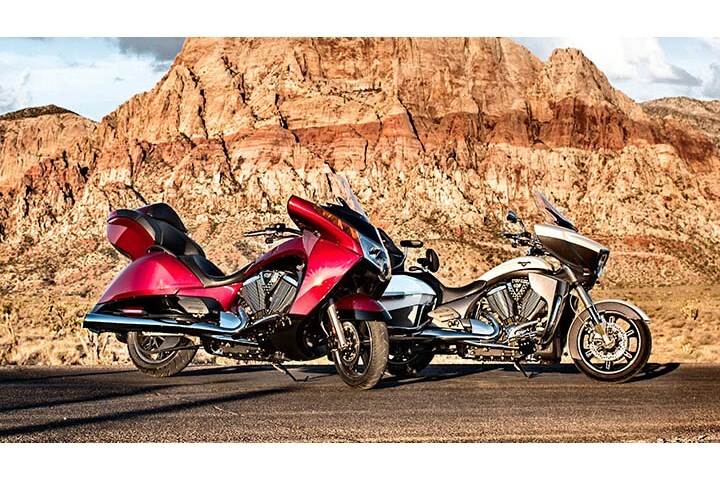 Smooth, powerful, and efficient, it’s a counter-balanced and fuel-injected engine that delivers confidence-inspiring performance for touring riders who like to lead, not follow. Every gear shift is smooth and defined with the Victory 6-speed transmission with true overdrive. 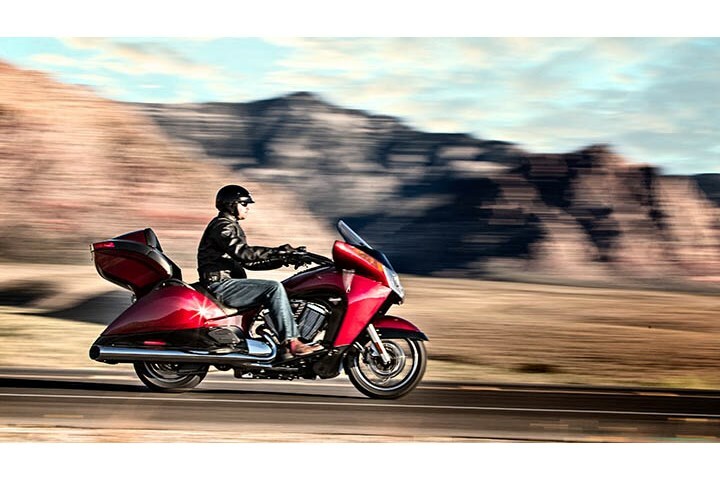 It syncs up with the outstanding power of the Victory Freedom® 106/6 V-Twin and its helical-cut gears ensure that each shift is sure and smooth. During interstate cruising, 6th gear overdrive drops the RPMs and delivers the smooth ride you’ve been looking for, and to enhance fuel mileage and extend the range of a tank of fuel. Extend the riding season with the heated handgrips and heated seats. There’s a choice of Hi & Lo settings for the heated handgrips, and the heated seats have individual driver and passenger controls with Hi & Lo settings. You can add a month or more on both ends of the riding season with the flip of a switch. 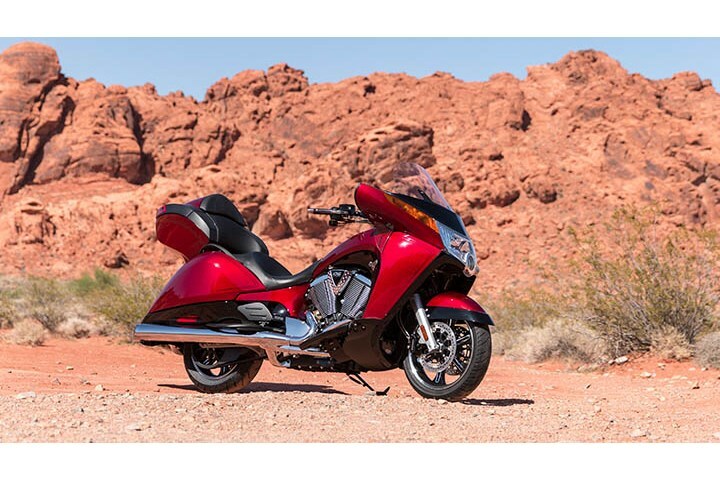 Integrated in the smooth-flowing lines of the Victory Vision Tour are convenient side storage compartments and a spacious trunk. 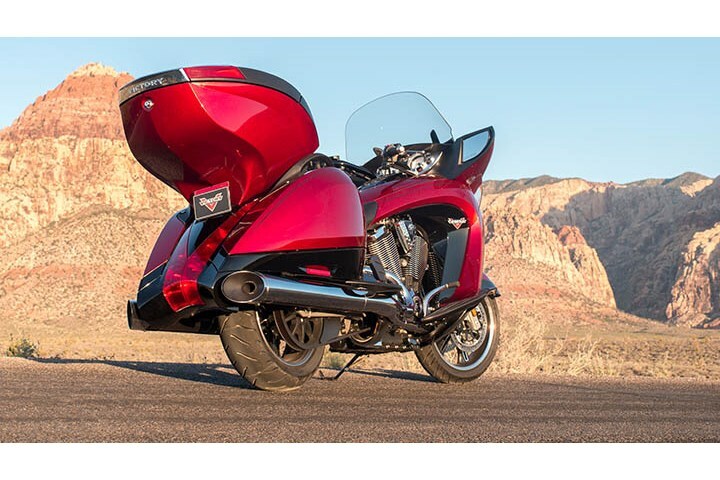 These storage spaces combine to offer one or two riders ample space for their touring gear. The side compartments and trunk are weather-sealed and lockable. The trunk has an integrated, padded passenger backrest and dual audio speakers that combine with the fairing speakers for surround sound. 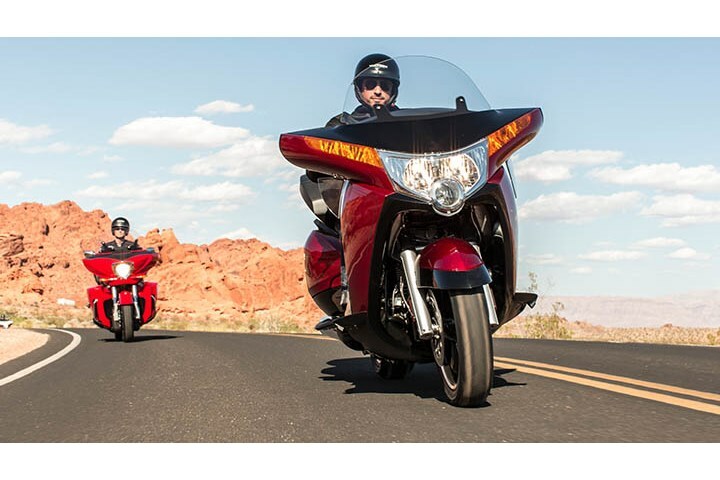 Victory Vision Tour riders ride with confidence, knowing their stopping power includes the Victory Linked Anti-Lock Brake System. It monitors the wheels and when it senses compromised traction, it instantly and automatically provides braking for quick stopping under control. With the power windshield, you manage airflow reaching the riders by raising and lowering the windshield with the push of a button. The frame-mounted fairing provides the ultimate in wind and weather protection and lets riders enjoy the ride in all conditions. 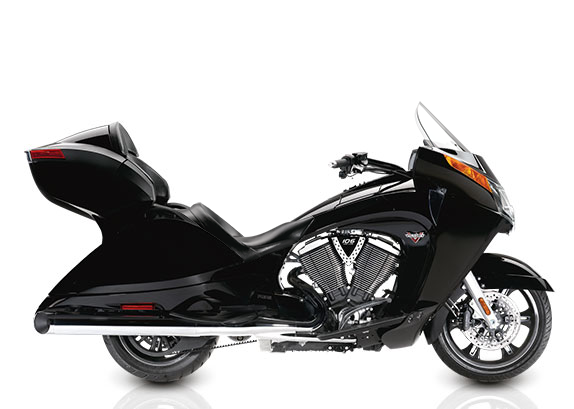 If you encounter a rough patch of road, the plush Victory Vision Tour rear suspension keeps the ride smooth and steady with 3.65” of travel. Keep the ride consistently smooth with the easy-adjust air shock. Consult the air pressure chart, adjust the air shock with a hand pump and enjoy the incredibly smooth ride – whether you’re riding solo or 2-up, with or without cargo on board.